Peavey, Fargen Amplification, Sonic Edge and Budda Amplification announced today that they have joined forces with Agile Partners to bring models of Fargen’s tube amplifiers, Sonic Edge’s pedals and Budda Superdrive 30 to AmpKit, the guitar amps, effects and recording app for the iPad, iPhone, and iPod touch. Modeled after the actual circuitry of the amps and pedals, AmpKit’s simulations are recreations of the innovative Ben Fargen-designed gear. 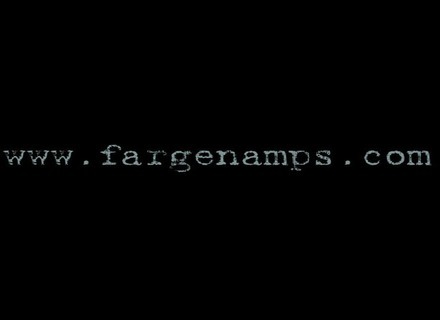 Three Fargen amps are available for purchase through the in-app Gear Store in the new AmpKit 1.2 release. Olde 800 brings sounds from the 60s, 70s, and 80s into the present day with the amp’s “Decade Switch.” Super Collider is a dual-channel creation coupling tones with enhanced sustain and high-gain overdrive. Hot Mod Baby Blues starts with a stock Fender Blues Junior, and adds a Presence control, a revised and updated Fat switch, and more gain to transform the baseline amp into a new device. The amp is paired in AmpKit with a 1x12 cabinet containing a Celestion G12 speaker, designed to provide enhanced tonal clarity, bite, and brightness. Two of Ben Fargen’s Sonic Edge pedals are also available in the new AmpKit 1.2 release. The J&J Overdrive is designed to add warmth and brightness, with its tone designed to range from 'subtle sweetening to full-on tube crushing drive.' The Tumbleweed incorporates clean boost with a new compression model. The built-in boost has Brit, Cali, and Jazz modes for trans-Atlantic tonality plus a boost for jazz finger-picking players, while the compressor offers sustain options. Both of these effects can be used in conjunction with one another or separately. Budda Amplification also announced a simulation of the Budda Superdrive 30 Series II amplifier to AmpKit. The AmpKit Budda Superdrive 30 is available for a limited time through AmpKit's in-app Gear Store at the launch promotion price of only $0.99 U.S. ($5.99 U.S. regular price). The Budda Superdrive 30 is also part of the new Summer '11 Pack in the AmpKit Gear Store. The Summer '11 gear bundle is being offered at a special introductory price of $9.99 U.S., which represents a discount of over 80% off normal amp and pedal pricing. Besides new gear, the AmpKit 1.2 release is said to feature tone and simulation improvements - dual-stage amp simulation, convolution-based cabinet simulation, adaptive input compensation, and new Noise Gate, solo and mix output shaping. AmpKit LiNK is a guitar interface that connects an electric guitar or bass into the headphone jack of an iPhone, iPad or iPod touch. It is described as the companion to AmpKit, enabling the app to reproduce the tone of amplifiers such as the Fargen Olde 800. AmpKit is $19.99 at the iTunes Store. Individual models are available in AmpKit’s in-app Gear Store, which offers a selection including 19 amps with 35 separate amp channels, 22 effects pedals, 20 cabinets, 8 mics and more gear on the way, according to Peavey. In addition to being available individually in the AmpKit Gear Store, all of the new Fargen and Sonic Edge gear is available at discounts as part of AmpKit 1.2’s new Summer ’11 Pack. Fargen Amps AC Duo-Tone Fargen Amplification announced today it has enhanced its tube amplifier line with upgrades and improvements to three existing amplifier models, and it has introduced a new model, the AC Duo-Tone.